Description: This large, flightless bird can stand 4 feet tall. Pale grey plumage and eyes with long legs ending in three-toed feet permit easy identification of the Rhea. Listed as Near Threatened on the International Union for Conservation of Nature (IUCN) Red List, the Rhea`s numbers are decreasing in the wild due to habitat loss and a huge illegal international trade market for its skin. 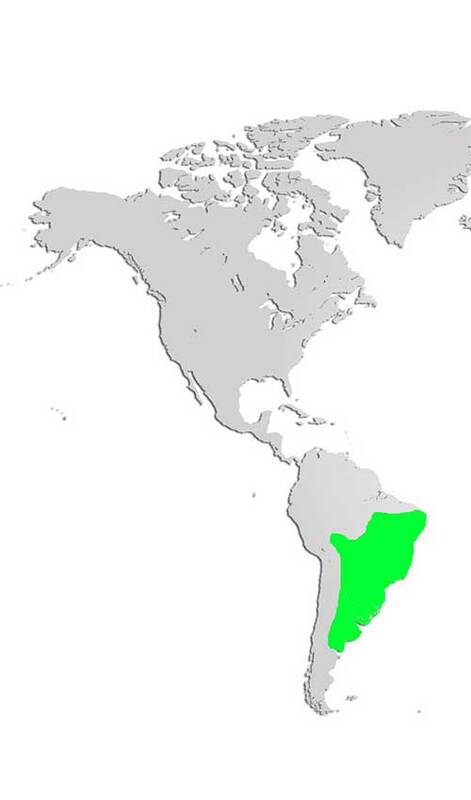 Distribution and Habitat: Native to South America, the rhea can be found in Argentina and Brazil, where it spends the majority of the time inhabiting grassland areas, often nesting near rivers, marshes, or lakes. Diet: Rheas are described as opportunistic eaters, consuming grasses, fruit, insects, birds, lizards and small game as well as agricultural crops when available. Life Cycle: Rheas are polygamous, having several mates at one time. The females lay eggs in common nests and the male incubates the eggs and cares for the young. One male may have as many as 50 eggs in a nest. Once the young are hatched, the male cares for them for 4-6 months and may adopt other lost or orphan Rhea chicks into the brood. Adaptions: Although flight is impossible, the Rhea uses its small wings for balance as it runs, reaching speeds of 60 kms per hour. They are also competent swimmers. Did you know? 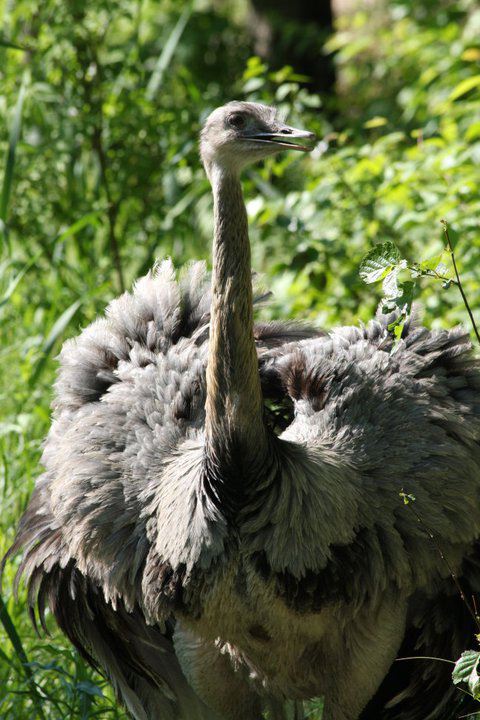 In the winter months, Rheas are very social and may congregate with other large animals such as deer and guanacas.